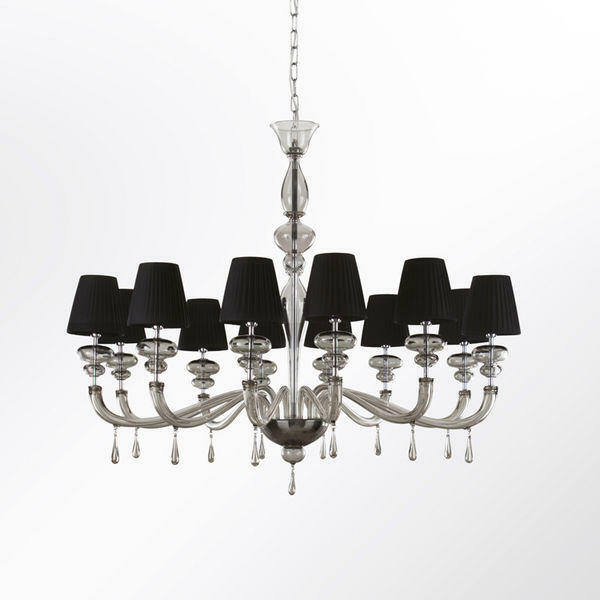 This collection has been especially designed to create big size and multiple levels chandeliers; it is also possible to customise the product by choosing the colour of the glass, of the metal finishings and of the handcrafted lampshades. MULTIFORME offers customised solutions to better suit interior designers' needs. The Palladium collection includes also wall lights, floor lamps, table lamps and other customised models of lighting. 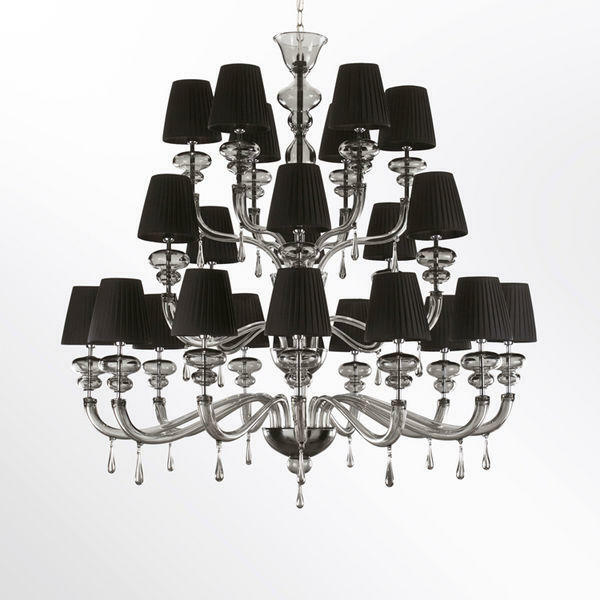 Murano chandelier, arms and other elements made of blown glass, black lampshades.